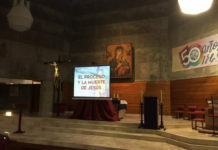 (Philadelphia, USA) This year on March 28, the birthday of St. John Neumann, the Baltimore Province of the Redemptorists gave people a gift. 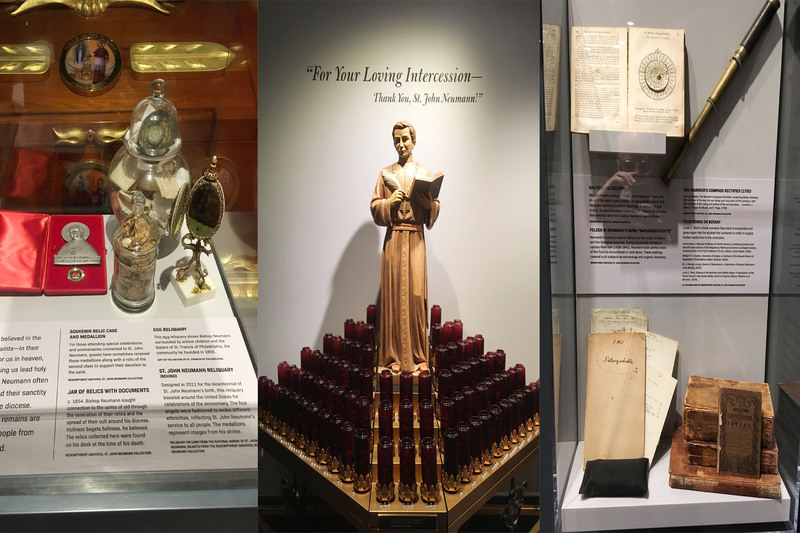 At the National Shrine of St. John Neumann in Philadelphia, PA, we opened a new museum and exhibit, “St. John Neumann: A Saint for All.” The museum tells the story of the simple Bohemian missionary who came to America to share his faith with a growing, immigrant Church, and who became the United States’ first canonized male citizen. 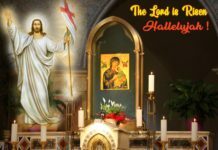 It traces Neumann’s steps from his call to holiness at baptism through his missionary life as a diocesan priest, a Redemptorist, and the bishop of Philadelphia, all the way to his canonization in 1977. The exhibit contextualizes the life and labor of the saint and helps people understand why he can be called a saint for families, students, seekers, immigrants, the marginalized, the needy, the weary, and the devout— a saint for all. 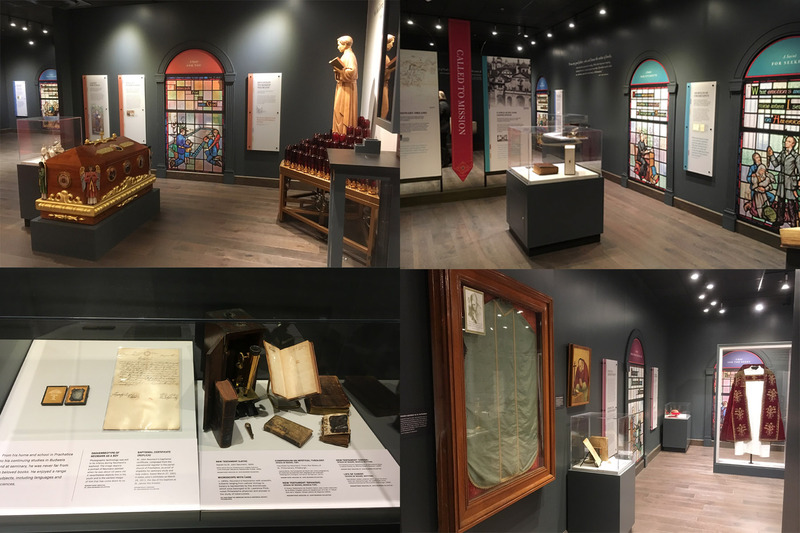 The museum exhibit occupies a newly renovated space in what had been the first floor of St. Peter the Apostle School, a school founded in 1848 to serve St. Peter the Apostle parish, the Redemptorist parish church where Bishop Neumann is buried. The opening of the museum serves as a capstone to an eight-year process of physical renovation and renewal at the shrine. Recent changes include the addition of a media center, cafe, and hall for events at the shrine, as well as more parking space, renovated classrooms for the school children, and improved access for people in wheelchairs throughout the shrine campus. The development of the shrine museum was also helped by the move of the Baltimore and Denver Provinces’ archives into a new facility across the street from the shrine. 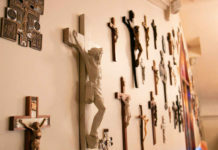 The archives now include offices, a research area, a climate-controlled vault, and further exhibit space, where we hope to have changeable exhibits complementing the shrine museum and telling more stories of the Redemptorists and our experience in the American Catholic Church and beyond. St. John Neumann is a precious part of the Redemptorist heritage, and indeed the heritage of the whole Church. 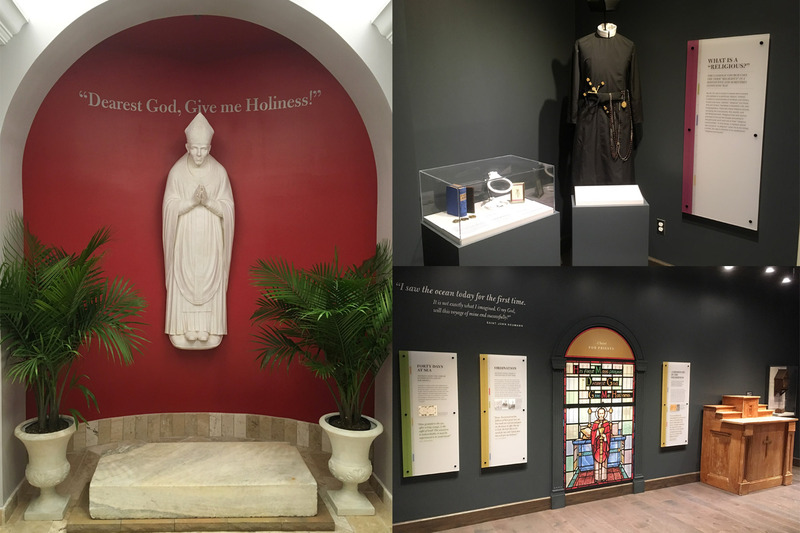 The Baltimore Province has worked hard these past several years to develop a physical space worthy of Neumann’s legacy and we are very glad to welcome pilgrims to his shrine as an oasis of mercy, healing, reconciliation, and joy in the Gospel. We hope that you will rejoice with us in the completion of the renovations and the opening of the new museum. We also hope that you will visit us soon to enjoy it all in person. While the museum had its “soft opening” on March 28 and is now open daily to visitors, the shrine will be hosting a week of “Grand Opening” events from April 29-May 3. These events include: April 29 — Ribbon Cutting and Museum Open House with Archbishop Charles Chaput, OFM Cap. April 30 — “Who is My Neighbor” Film Debut and Conversation with Director Rev. C. Vijay Kumar, C.Ss.R. May 1 — Poetry Reading May 2 — Book Launch, A Saint of Our Own: How the Quest for a Holy Hero Helped Catholics Become American, and Lecture, Saint John Neumann: First Among American Saints, by Dr. Kathleen Sprows-Cummings, Ph.D. May 3 — An Evening of Choral Music”.